After months of speculation, Subaru has confirmed the automative world’s worst kept secret: the WRX STI is coming back to the UK. For petrol heads and high speed enthusiasts alike, this will be a welcome return to a legendry car, which was given its marching orders back in 2011. However, just like Sherlock Holmes, Gandalf the Grey and Dirty Den, the WRX has cheated the hand of death and swerved the white light to make a dramatic comeback. What’s more, industry insiders tell us that Mitsubishi is finalising plans to bring back the Evo, which will once again revive the famous rivalry between two rally legends. So, is this the long awaiting return of Japan’s supercharged saloons? 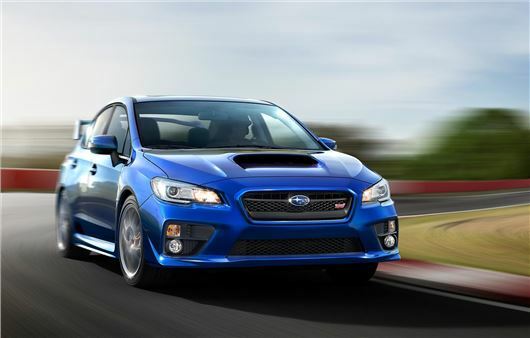 Well it certainly seems that way, although Subaru admit that the WRX STI will only be available in limited numbers (in the 100s, not 1000s), but there’s already a long line of ‘Scooby’ enthusiasts prepared to part with their cash to get hold of one. We imagine the Mitsubishi lot will do the same for the Evo. Is there really a place for the WRX and Evo in today’s market? The heyday of Japan’s supercharged saloons was around 1998 – 2008, but spiralling running costs and high fuel prices squeezed the market dry. In fact, by the time the recession of 2009 arrived, both the WRX and Evo were struggling and it was little surprise to see imports stop altogether in 2011. Well, not a lot. Fuel prices are higher now than they were in 2011 and both the WRX and Evo will require open wallet surgery to insure and run. CO2 levels will also be stupendously high. But there does appear to be a growing rebellion against the invasion of small and efficient cars that – let’s be honest – don’t excite the senses. BMW, Lexus and Mercedes are already making huge strides in building supercar rivalling saloons, but the Evo and WRX will undercut these on price. Subaru will initially limit the numbers for the WRX STI, but prices will start from £28,995, which is £4000 less than the cheaper car. Power will come from a 2.5-litre, four cylinder boxer engine producing 305PS and 392Nm of torque. Naturally, it’ll be four-wheel drive. Details on the new Evo are sketchy at the moment, but we have been told an Evo X based model should make it to the UK with 300PS+ and updated styling. Prices will be similar to the Subaru and 0-62mph will be in the sub-four seconds for both cars. Great, when can I buy one? All being well, they should make it to market for the summer and there’ll no doubt be a furore of Top Gear style publicity, with TV, web and magazines getting involved with the PR machine. But both the Evo and WRX will need more in their locker than jaw dropping performance if they’re to survive. Make no mistake, three years is a lifetime in automotive terms and the competition (Audi, Ford, Renault, Volkswagen) have made significant gains when it comes to fuel economy and running costs. Indeed, if you look at the likes of the Focus ST, S3 and Golf R, you'll see that the days of shoehorning a huge turbocharger under the bonnet and added a spoiler are long gone; instead, high octane seekers want value for money and a car that will double up as transport for the school run. Is this the start of a new Evo/WRX era? Hopefully. We would like to think that Mitsubishi and Subaru have taken note of what its rivals have done over the past three years and uses this well-publicised return as an opportunity to revolutionise both models. They'll also need grand plans for long term development, otherwise the Evo/WRX return will be over before it has even begun.